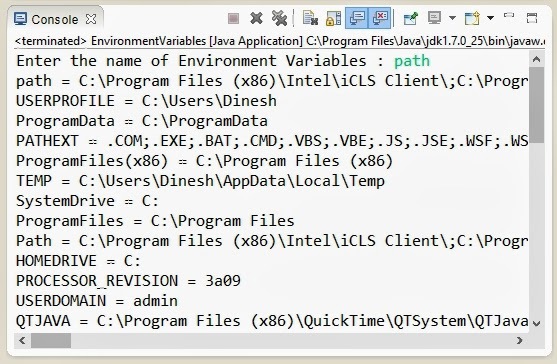 How to query Environment Variables through a Java Program ?. Program to demonstrate how to query Environment Variables through Java. How to use Command Line Arguments in Java ?. How to create a file in Java ?